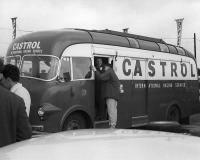 Albion's first rigid six wheel chassis was the bonneted Model 31, designed around a subsidy scheme specification after interest in such a type was expressed from the War Office, the India Office, and the Crown Colonies Office. Developed from a prototype 24hp 2-3 ton 6x4 chassis, it was first exhibited at the Olympia Show in November 1927, and was rated at 3 tons to suit the British Army's strict weight limits for operation over temporary bridges. 4 tonners were also sold to the Australian Defence Force and to Iraq, and that was also the rating used by civilian haulers for the LK31, or subsidy specification SK31. A 30/45hp 4-cylinder petrol engine was initially installed, but the 30/60hp engine was also used with a larger radiator to suit tropical conditions. Unusually for a goods model, it used a dropped frame design similar to, but generally shorter than the bus models. The main innovations centered around the double rear axle arrangement, which was designed to a military specification to ensure a standard rear bogie regardless of the vehicle manufacturer. The enabled standard 'caterpillar' tracks to be attached to the rear wheels, which were stowed on platforms attached to the frame on either side.